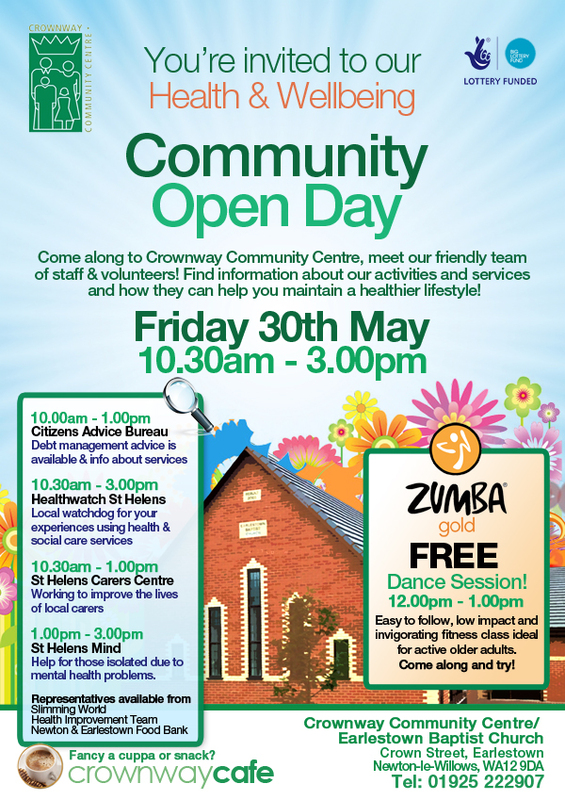 You’re invited to our Health & Wellbeing themed Community Open Day on Friday 30th May 2014 (10.30am – 3.00pm). Free Zumba Gold taster session will be available from 12pm-1pm! Come along and meet our friendly team of staff and volunteers, and get up-to-date information about all of our activities, courses and services.